Sickle cell anemia is an inherited form of anemia. It is a condition in which there are not enough healthy red blood cells to carry adequate oxygen throughout the body. Normally, red blood cells are flexible and round, moving easily through blood vessels. When a person has sickle cell anemia, the red blood cells become rigid and sticky and are shaped like sickles or crescent moons. These irregularly shaped cells can get stuck in small blood vessels, which can slow or block blood flow and oxygen to parts of the body. 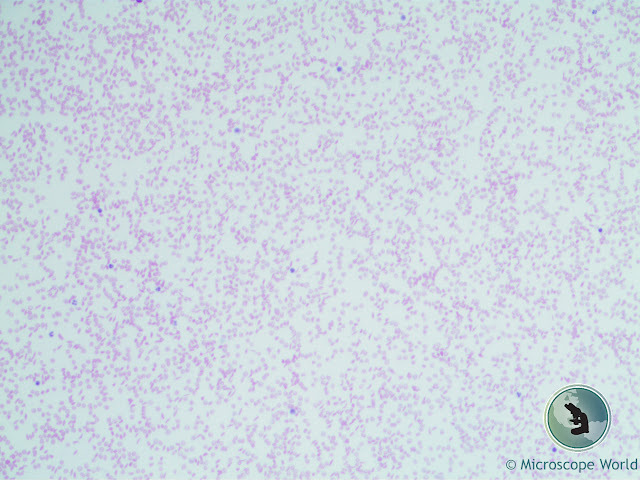 Sickle Cell Anemia under the microscope at 40x. Symptoms of sickle cell anemia include fatigue, episodes of pain (when blood cells are being blocked), swelling of hands and feet, delayed growth, and vision problems. Sickle Cell Anemia under the microscope at 100x. There is no cure for most people with sickle cell anemia. Bone marrow transplant or a stem cell transplant is the only potential treatment, but it is only used in children under age 16 because of the increased risk for older patients. Treatment for sickle cell anemia is usually aimed at avoiding crises, relieving symptoms and preventing complications. 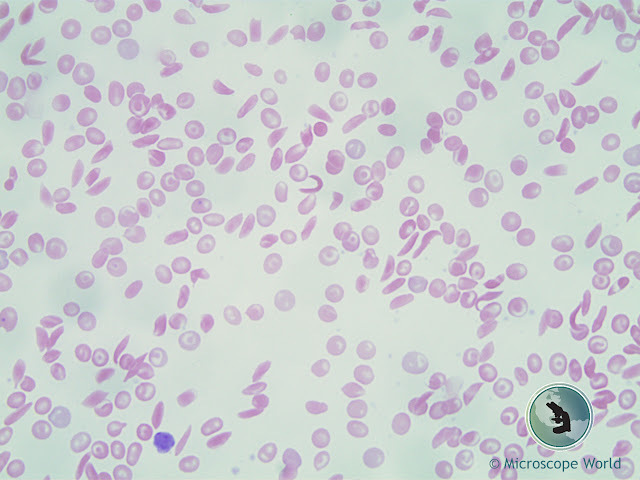 These images are of sickle cell anemia cells that were captured under a lab microscope using a 5 megapixel microscopy camera. Sickle Cell Anemia under the microscope at 400x. Learn more about sickle cell anemia here. 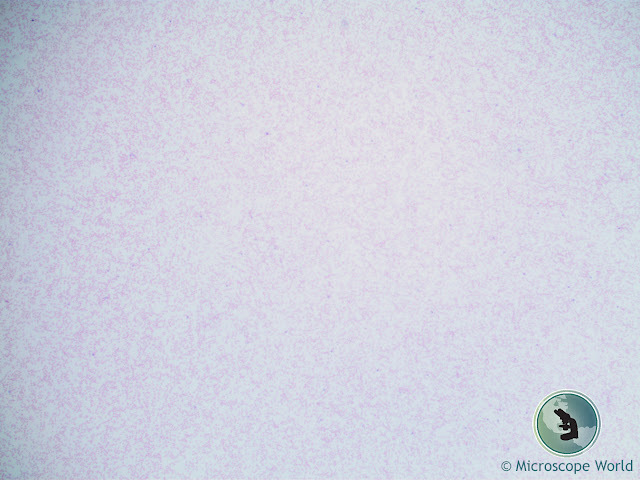 Contact Microscope World with questions regarding microscopes and microscopy cameras.